Naučila jsem se, že lidé zapomenou.. This entry was posted on 15.9.2018. 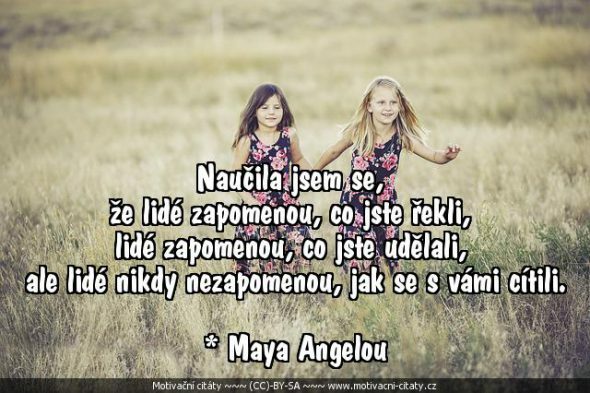 It was filed under O vztazích and was tagged with cítit, lidé, Maya Angelou, zapomenout.